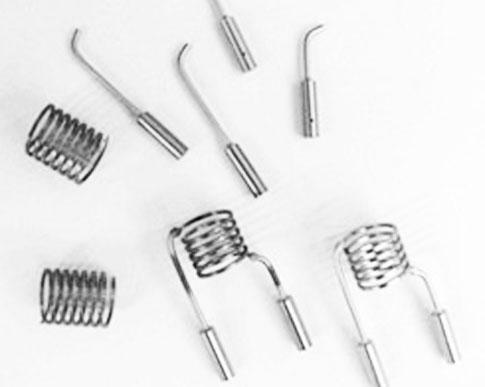 Uses in hundreds of thousands of gas lasers—argon, krypton, xenon and combinations— SAES dispenser cathodes, manufactured by Spectra-Mat, Inc., have proven to be a robust and long-lived laser component, with life of cathode typically exceeding the life of the available gas reservoir, and through a process developed over five decades of experience. Filament cathodes available in diameters from .118 inch to 1.00 inch or larger. Leg dimensions according to customer specification.